Born at Smith’s Falls, Ontario on 15 July 1849, son of Nicholas and Cathrine Bawlf, he was educated at the public schools of Smith’s Falls. In 1877, he came to Winnipeg and commenced in the flour, feed and grain business. In September 1893, he became one of the founders of the Northern Elevator Company, along with R. P. Roblin, Arthur Atkinson, Samuel Clark, George Crowe, and James Mitchell. He served as President of the Winnipeg Grain Exchange (1890, 1897). In 1909, Bawlf sold out to Peavey Company of Minneapolis then founded the N. Bawlf Grain Company and, in 1912, became President of the Alberta Pacific Grain Company of Calgary. He was one of the first traders to ship grain to Japan via Pacific ports. 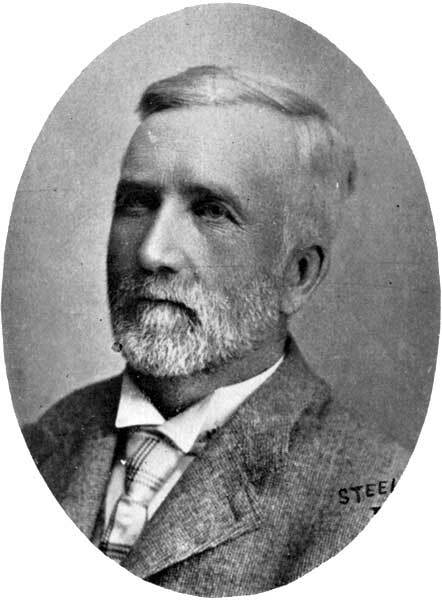 He was a director of the Standard Trust Company, Great West Permanent Loan Company, and Bank of Toronto; and was First Vice-President of Foley Brothers & Larson Company. He also had interests in Northern Crown Bank, Great West Life Insurance Company, and Canadian Fire Insurance Company. In 1910 he was listed by the Winnipeg Telegram as one of Winnipeg’s 19 millionaires. In 1877, he married Katherine Madden. They had nine children: Edward John Bawlf, William Richard Bawlf, Mary Julia Evelyn Bawlf (1885-1889), Josephine Helen Bawlf (1887-1977), Frederick Leo Bawlf (1890-1964), Kathleen Esther Bawlf (1895-1938), Louis Drummond Bawlf (1896-1966), David Leland Bawlf (1899-1918), and Clarence Nicholas Bawlf. A devout Catholic, Bawlf opposed the Manitoba School Act of 1890 and lobbied in Ottawa for more Anglo-Catholic senators. He was a member of the Manitoba Club and St. Charles Country Club. He died at Winnipeg on 26 December 1914.